LOCALS IN IRELAND’S match-making capital of Lisdoonvarna are mobilising to offer “a warm welcome” to the 30 asylum seekers due to arrive there next week – but want numbers capped at 30. The first group of the 115 asylum seekers, due to be accommodated in a new direct provision centre at the King Thomond hotel, are due to arrive on Monday. Confirmation of the arrival of the asylum seekers follows the owner of the hotel, Marcus White today confirming that he has signed a one year contract with the Department of Justice for the centre in spite of local opposition to the move. 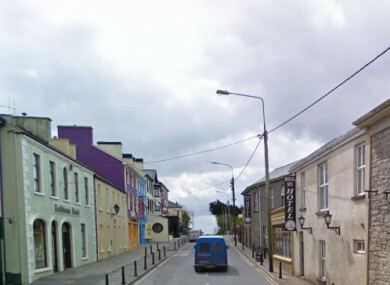 In a vote at a public meeting in the north Clare village of Lisdoonvarna last week, 93% said no to the plan to accommodate the 115 asylum seekers. The vote followed White telling a separate meeting days before that if the townspeople didn’t want the centre to proceed, he would honour that decision. Dunne said that “the vote carried out by the community last Wednesday night was to vote against the contract and the high number of people coming to the centre – it was never about not wanting to help”. “However we are mobilising to offer a warm welcome to the 30 asylum seekers who are scheduled to arrive,” he said. “We remain concerned that the necessary educational, medical and social services might not be provided and will monitor the situation to look after the needs of both Lisdoonvarna citizens and our guests. We ask the government to intervene in the high numbers coming and try to cap it at 30. Fianna Fáil TD, Timmy Dooley said that he was “surprised” that White has proceeded to sign the contract given his earlier undertaking. Deputy Dooley said that he shared the local community’s concerns over the impact the setting up of the direct provision centre for the 115 could have on services in the area. Deputy Dooley said that Clare’s Oireachtas members were due to meet with Minister for State at the Department of Justice David Stanton to seek re-assurances over the move. In his statement today, White confirmed that he gave a commitment “that if all of the people of Lisdoonvarna did not want the contract to go ahead then it would not”. “There have been various meetings and while there is certainly a number of people that do not want the contract to be signed, there is equally a number that does,” he said. White said that he was satisfied that the Reception and Integration Agency (RIA) has been able to address the concerns raised by those opposed to the contract providing for up to 115 asylum seekers. White said that the main areas of concern for the locals are creche facilities, school facilities and medical care. White said that he has been assured by the RIA that it will address any issues that might arise in respect of these areas. He said that he has the utmost confidence in the State, the RIA and the Department of Justice and Equality to deal with same. White confirmed that he has now signed the contract “and the limited duration of the contract gives all parties the opportunity to monitor the delivery of the services and any issues that might arise and how those issues are addressed”. Email “Lisdoonvarna locals say they'll welcome 30 asylum seekers next week ... but no more than that”. Feedback on “Lisdoonvarna locals say they'll welcome 30 asylum seekers next week ... but no more than that”.